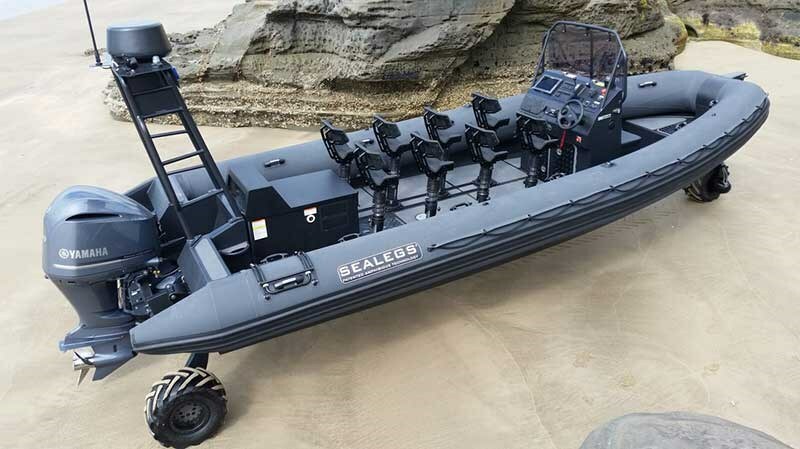 Sealegs International has released its newest and largest amphibious rigid inflatable boat (RIB) to date: the Sealegs Interceptor 9000. Targeted at commercial and military applications the Interceptor 9000 is powered by a 300hp Yamaha four-stroke outboard motor and is capable of 44 knots at full payload of 700kg. Complementing the exceptional blue-water performance from its 23 degree 5mm aluminium hull, the Interceptor 9000 is fitted with eight Jolt Rider shock mitigating seats providing exceptional passenger comfort for the most demanding water conditions. The extra wide 3m beam allows for huge deck space and creates a very stable yet versatile work platform. The Sealegs system works by having powerful motorised wheels, which give the user a variable on land speed of 0-7km/h (forward and reverse) powered by an on-board 22hp Honda driven hydraulic power pack. Designed to be rapidly deployed, the Interceptor 9000 can be driven from a storage location or trailer, down a launching ramp or beach and into the water - all with the occupants staying in the boat and remaining completely dry. Once in the water, the Sealegs wheels are easily retracted into the ‘Up’ position and are completely out of the water. The boat is then driven and used as normal. When approaching land, the Sealegs wheels are lowered into the ‘Down’ position whilst still moving in the water. Once on land the craft can be lowered until the hull is touching the ground, allowing passengers to disembark safely. Sealegs CEO David McKee Wright says the new model was developed to meet market demand. "The Interceptor 9000 gives us a model with the size, passenger count and layout that many commercial and military operators have been asking for in an amphibious craft. It was developed in response to international sales demand and we’re excited at the sales opportunities this new model will bring," says McKee Wright. The craft has been developed using the same Amphibious Enablement Kit available to existing OEM boat builders which demonstrate the versatility of Sealegs technology. 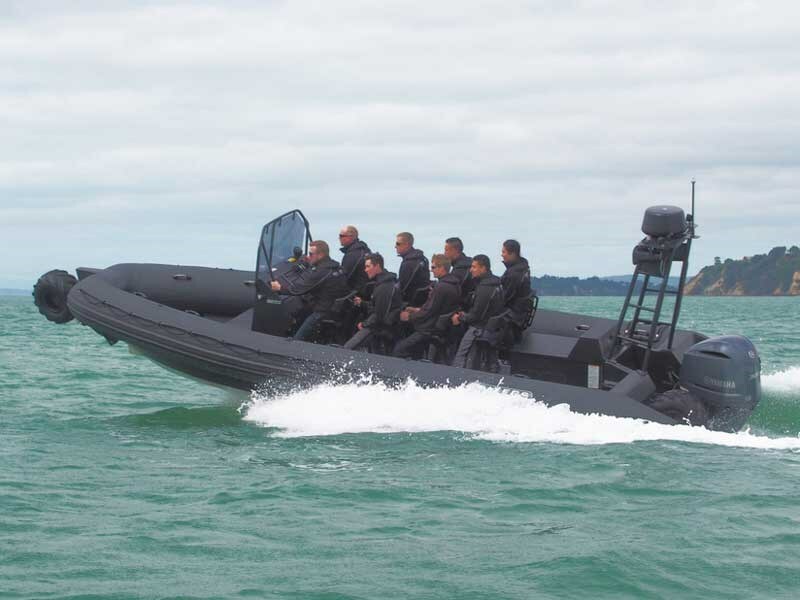 The new Sealegs 9m Amphibious Interceptor will be on public display for the first time ever at the Auckland On-the-Water Boat Show from 24th-27th September as part of the Sealegs 10 year celebrations.